Donate a Blanket. Help to keep the underprivileged­ warm. 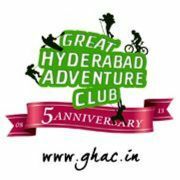 GHAC Social is Great Hyderabad Adventure Clubs effort to help the community and get people interested in social and community work together. - Meet with others interested in Volunteering for the community! -Work to Provide Basic needs and care of the homeless and elderly. Great Hyderabad Adventure club or GHAC is the Premier Adventure and Trekking Club of Hyderabad, Andhra Pradesh and caters to Outdoor Adventure Activities like trekking, hiking, camping, outdoors, Bird Watching and adventure sports like bouldering, rock climbing, rappelling, paragliding, white water rafting.